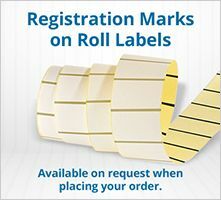 Get labels to your exact requirements at low prices. Welcome to our newly launched resource area providing school stickers for teachers to aid their marking, rewards and feedback. Here you’ll find school stickers you can download and print. Many will also be editable with time saving features. From talking to teachers we know that creating sticker templates can take up valuable time. Fiddling with text/images and trying to get Word or PowerPoint to play nicely is not something you want to be doing. So we hope our stickers will help you to create hassle free stickers in less time than you would normally. Over time we’ll be growing this resource based on teacher feedback. Please take a look at our first set of sticker templates focused on learning objectives. As all teachers know, setting and collecting in homework can lead to all sorts of issues ranging from “the dog ate it” to “my printer ran out of ink”. Whilst these problems can be very inconvenient teachers can certainly help to reduce the chances of such mishaps by ensuring that all pupils have a consistent and clear start when it comes to their homework or assessment tasks. Giving clear and understandable instructions that pupils can then take home with them is essential for success in homework and assessments. Not only does this allow pupils to access the learning criteria remotely but it is also very useful for those parents who wish to support their children and who often feel frustrated by a lack of detail in their homework diaries. No matter how hard a teacher tries, there are times when it is impossible to check that every child in the class has written down the homework information fully and correctly. The templates below are really useful for creating a generic set of homework stickers which can be quickly and easily printed out and stuck into pupils’ homework diaries or exercise books. This information is then readily available to pupils and parents at home. Never again on the day of a homework deadline can a pupil say “but I forgot what we had to do”! Go to our Homework Stickers in a Flash page to see and download the templates. Learning objectives are used to structure lessons and form the basis for pupils’ learning. Objectives may be set at the start of a lesson in order to give pupils an understanding of where their learning is heading and also to allow the teacher to judge progress. Progress against learning objectives may be monitored in lessons through plenaries carried out at strategic points. This allows teachers to reflect on learning and adjust the lesson where necessary in order to meet the needs of all pupils in the class. In terms of marking, learning objectives may be used to assess specific pieces of work. For example, work may be set with the achievement of a particular objective in mind. Stickers can then indicate if a pupil has met the desired target, or if they need to do more in order to show progress. An example of this may be to explain four causes of World War One. If a pupil fully explains all causes then an “objective met” sticker could act as the reward. If, for instance, only two causes are explained then the pupil could receive a “progress towards objective” sticker. If a pupil has failed to explain any of the causes then an “objective not met” sticker may be appropriate. A teacher may then ask for the work to be developed further and then re-marked. Choose from any of the following templates. 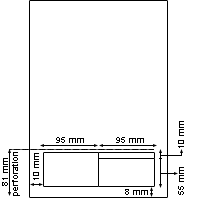 For printing you can use S021 labels (same size as Avery L7160) and the the ‘Likes’ template use S030 60mm x 22mm labels. Marking and giving meaningful verbal and written feedback is one of the most important things that a teacher can do in order to help their pupils make progress. Not only does it allow children to understand what they have done well but it can also enable them to see ways in which to improve and develop further. Unfortunately, however, the process of marking and feedback can often be quite passive for the children involved, who only really care about the mark or grade and give a cursory glance at the written comments. These templates provide a quick and easy way to give feedback to pupils. They also provide a consistent and recognisable approach that all pupils in your class will become familiar with. Are you a teacher and have an idea for a template? Please send us your ideas and you might be seeing your template here soon. 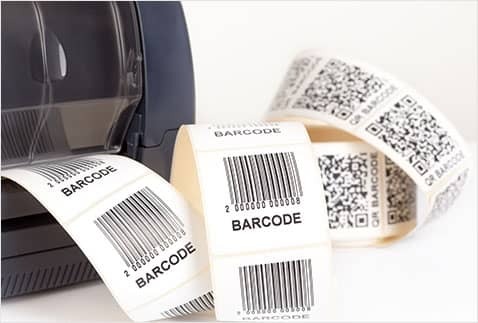 Our continuous investment in digital printing technology, enables our ability to respond to requests for the production of short to medium runs of finished labels, cost effectively for our customers. 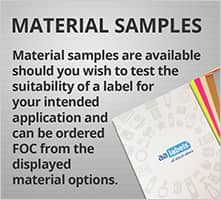 With full colour process capability, including 6 colour plus white and specialist foils for gold and silver, we offer a large range of options and finishes for the appearance of your labels. Call our friendly customer care team on the number shown below if you would like to discuss your label requirements. 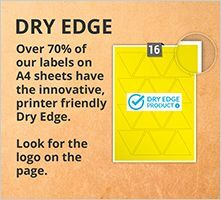 AA Labels are specialists in the design, printing and production of labels, for us it is all about labels! 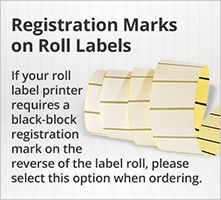 We manufacture both plain and printed self-adhesive labels for a wide variety of applications. 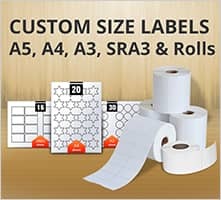 Labels can be ordered in both roll and sheet (A4, A3 & SRA3) formats and various materials, colours and finishes in quantities starting from only 25 sheets or a few rolls.We are proud of our high service standards and the care that we take with customer orders and always welcome comments and suggestions that help us to maintain and improve the service provided. Copyright © 2019 AA Labels. All rights reserved.